Hey Seattle: How Can I Explore the Outdoors? Don’t miss out on Seattle’s epic sports scene. Here’s where to catch a game, root like a local, and shop for gear. The Pro Shop (800 Occidental Ave S) at CenturyLink Field stocks all the team-themed Seahawks and Sounders swag you can imagine. 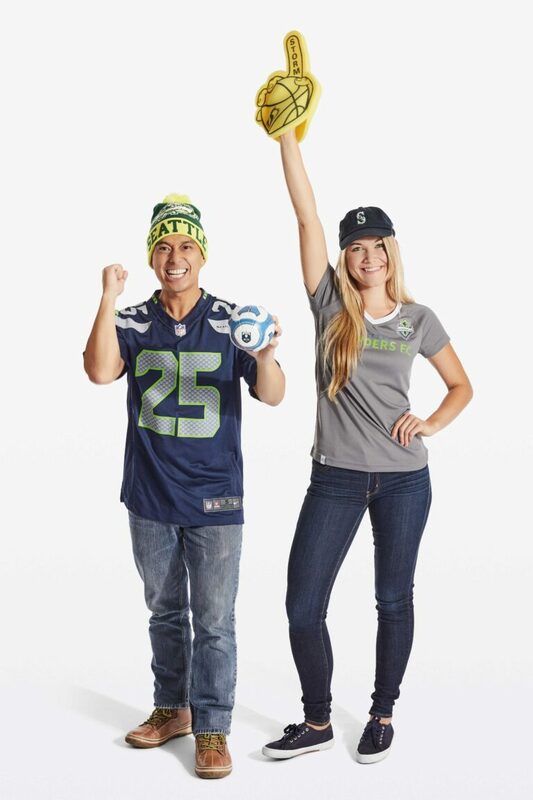 Seattle Team Shop (multiple locations; seattleteams.com/stores) carries licensed merchandise for the city’s pro and college teams. The Hawks Nest (1028 First Ave S) has TVs, draft beers, and Seahawks murals aplenty. Sluggers (538 First Ave S; sluggersseattle.com) boasts two levels and a lively sports crowd. Quality Athletics (*121 S King St; qualityathletics.com) doles out elevated pub food and craft beers, including a Seahawks Sunday Brunch on home game days. Greenwood’s The Angry Beaver (8412 Greenwood Ave N) is hockey heaven, with multiple flatscreens, Canadian beers, and even poutine. The Seattle Thunderbirds (seattlethunderbirds.com) 2017 champions of the Western Hockey League, take to the ice at ShoWare Center (625 W James St, Kent) from September through March. Article written by Angela Cabotaje for the Visit Seattle Official Visitors' Guide.